Thanks to those of you for your votes and support in making Hello Birdie Nail and Lash Lab the winner for San Diego City Beat's Best Of 2016 awards! We are honored and proud to have been your number one choice this year! 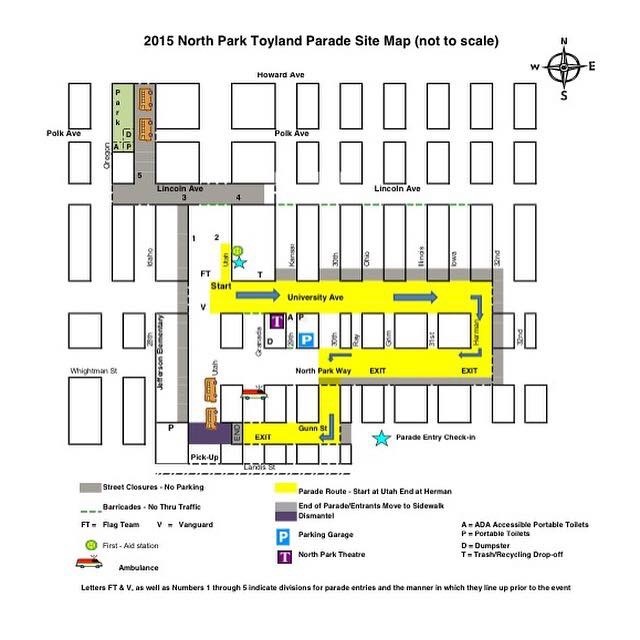 This Satuday, December 5th marks North Park's 52nd Annual Toyland Parade and Festival! You can expect to see everything from cool vintage cars to beauty queens and even an appearance from Santa! Adults and children alike will have a blast during this festive event! I've included a map so you can see the parade route and pick the best spot to take it all in! We hope you will pop in for a visit while you are in North Park! To learn more about the parade, please visit toylandparade.com. If you are coming into Hello Birdie on Saturday parking may be a bit of a challenge. Please use the Ace parking structure located on 30th and University. The entrance is on 29th. Parking will only be $1 for the entire day and we will validate! We apologize for the inconvenience and look forward to seeing you Saturday! Such a fun parade!!! The holidays are sneaking up on us quite quickly this year! It's been a whirlwind of activity in the birdie's nest! It's a time of growth, a time of change and most importantly a time of giving. We are very happy to be involved with the Happy Hour for Hope event this Thursday, November 19th from 6-10pm. Although we will be busy participating in North Park After Dark that same evening, we hope that you can also make your way down to La Bodega Gallery in Barrio Logan. 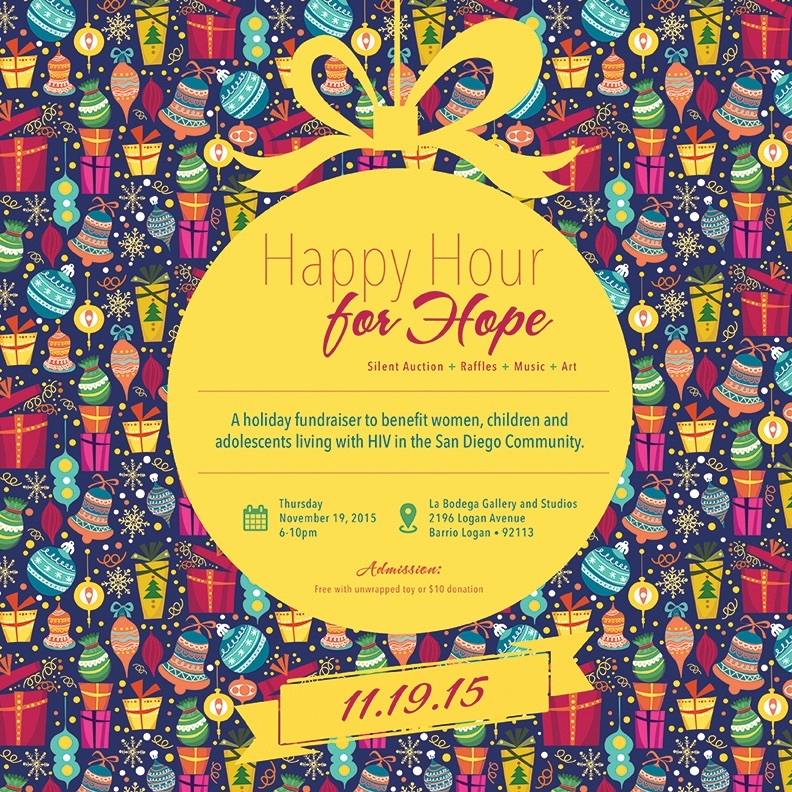 Happy Hour for Hope is a holiday fundraiser to benefit women, children and adolescents living with HIV in the San Diego community. We have donated a gift certificate and will be there in spirit! Click Here to Buy a Gift Card!